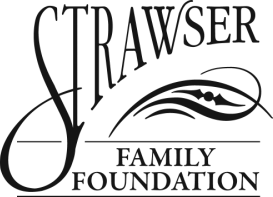 Welcome to the website of the Strawser Family Foundation! We are really fortunate to be able to give back through our foundation with funds set aside from our corporations and personal investments. Due to the overwhelming amount of in-person and telephone solicitations received annually, we have moved towards a more strategic process on how we choose to philanthropically support organizations and causes. Nonprofit organizations seeking support, including benefit auction services through Strawser Auction Group, are required to follow our granting process. Individuals soliciting money on behalf of a cause are required to submit a letter or e-mail stating the need for support and dollar amount requested. While the Strawser Family Foundation does not normally support individuals, we will consider requests under special circumstances. All requests are reviewed on a rolling application basis. If you have any questions, please feel free to contact us. © 2014-2015 Strawser Family Foundation Inc.